The world of whisk(e)y has seen significant changes during the lifetime of this magazine, so just how much has changed in 150 years? We look at the year 1868. In Britain, the 1860s was a decade of economic boom, and distillers of malt whisky saw production rise to almost five million gallons (22.7 million litres) in 1868. Grain spirit output was altogether more volatile, standing at 5.2 million gallons (23.6 million litres) in 1868, having been in excess of eight million gallons (36.3 million litres) just three years earlier. However, the momentum was with blended Scotch, which was really still in its infancy during 1868. Some five years earlier, the destructive phylloxera louse had been identified in France’s Rhone Valley vineyards, and the fortunes of blended Scotch would be aided significantly by the subsequent shortage of brandy, caused by the voracious spread of the phylloxera disease, which killed vines by attacking their leaves and roots. 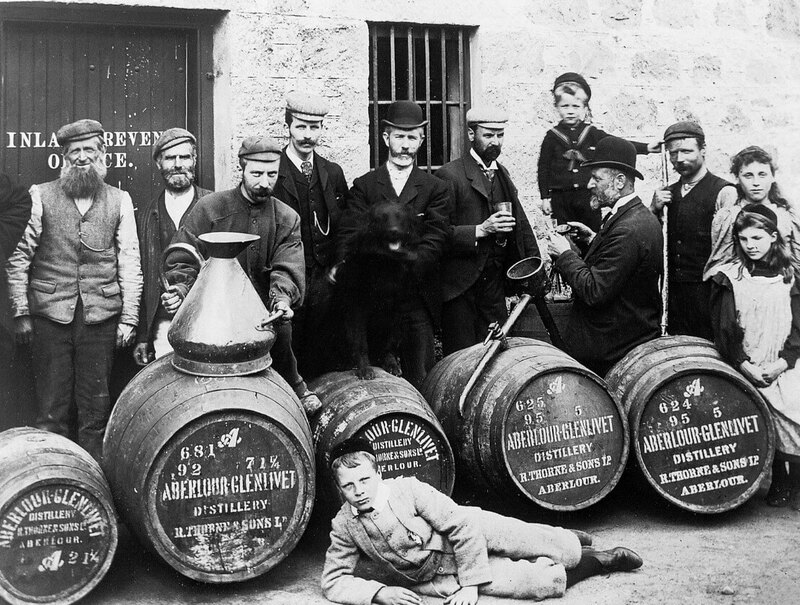 The Spirits Act of 1860 had been crucial to the fortunes of the Scotch whisky industry, which boasted 111 operational distilleries in 1868, as it allowed for the first time the blending of spirits under bond without payment of duty, the storage of blended spirits in vats, and the filling of casks with blended spirit in bond. 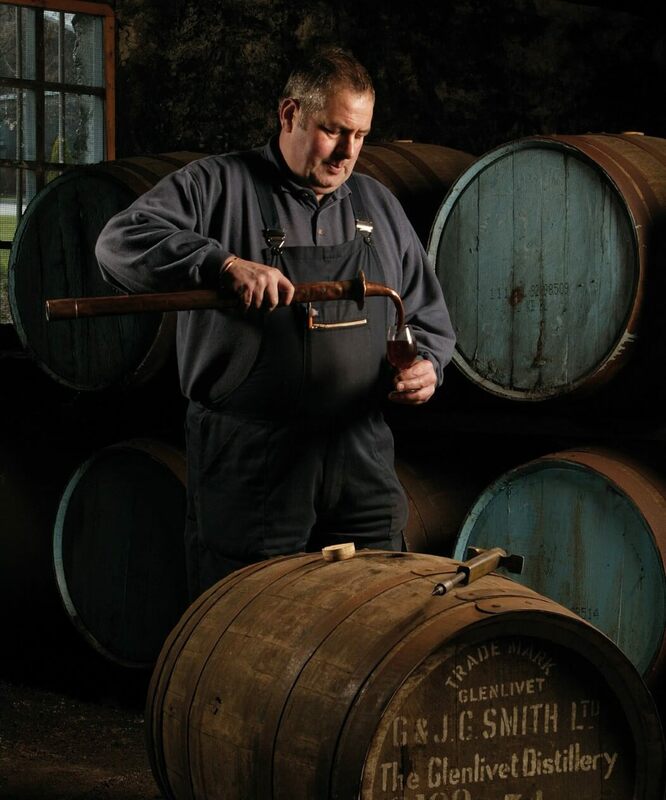 The initial purpose of blending had been to reduce the cost of whisky, but it was soon discovered that in the hands of a skilful practitioner, a very drinkable and consistent product could be created. 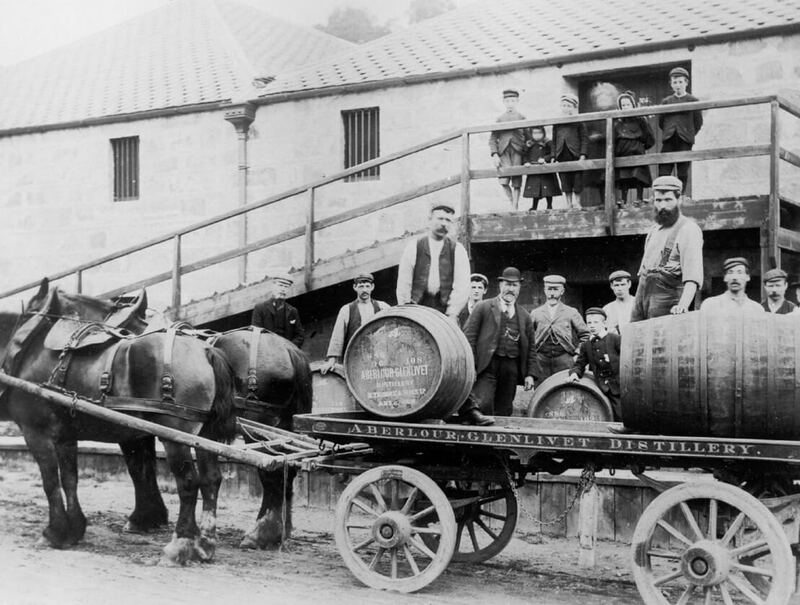 Further legislation during the 1860s aided the cause of blending, namely the fact that from 1864 spirit strength could be reduced using water in approved warehouses, and 1867 saw bottling whisky for domestic consumption in bonded warehouses. The initial purpose of blending had been to reduce the cost of whisky, but it was soon discovered that in the hands of a skilful practitioner, a very drinkable and consistent product could be created. 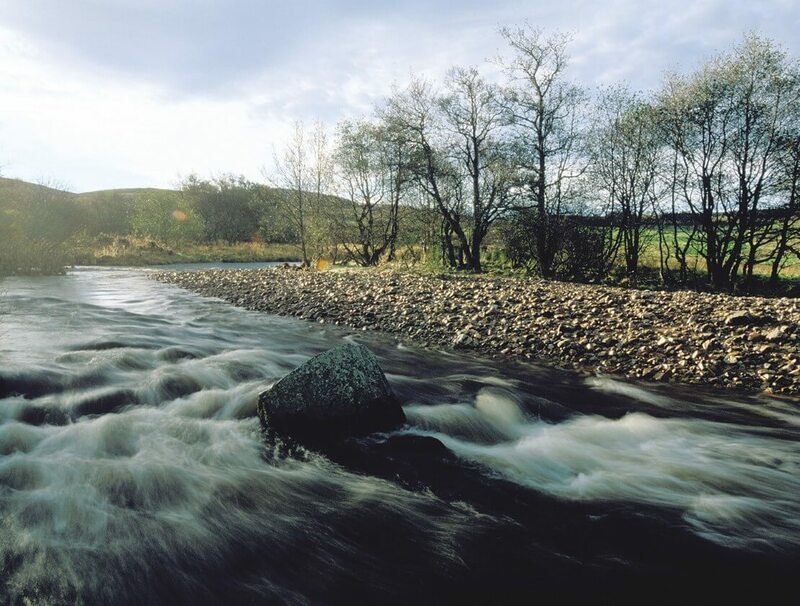 Apart from the famous Glenlivet itself, the area already had a reputation for fine whisky-making, being home to distilleries such as Aberlour, Cardhu, Glenfarclas, Glen Grant, Glenlivet, Macallan, Mortlach and Strathisla. The whiskies produced in these distilleries tended to be relatively smooth and mellow, compared to the more pungent offerings of Islay and Campbeltown, and ‘Speysides’ were soon finding favour among blenders, with commensurate expansion of distilling interests. 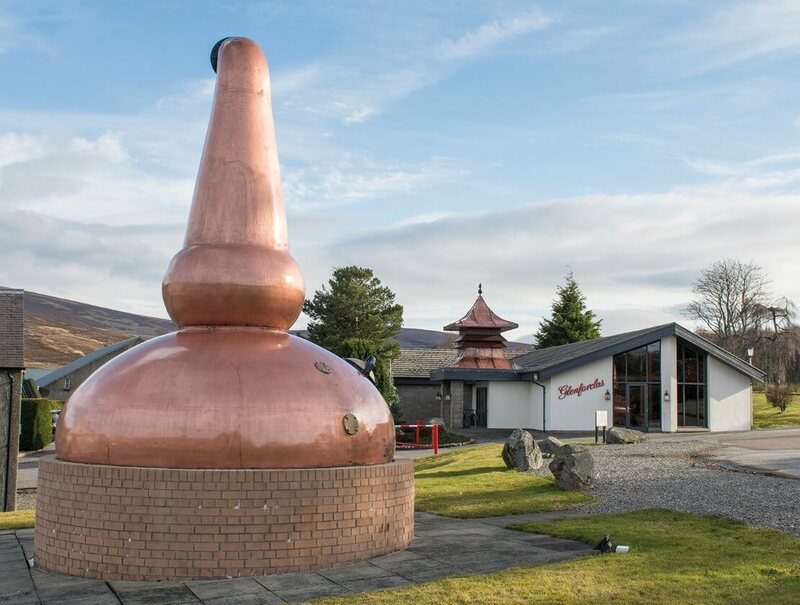 Not that Campbeltown was showing any signs of decline in 1868, and in that year Benmore distillery became the 19th distillery to be established in the remote Argyllshire port. It was built by Glasgow-based distillers and blenders Bulloch Lade & Co, and boasted an annual output of 125,000 gallons (568,000 litres), making it one of the larger distilleries in the royal burgh. Such a development was doubtless due in part to the large numbers of Irish nationals who migrated to work in Scotland and England as the economy flourished during the 1860s. There was also a widespread appetite for Irish whiskey among the British public in the years before blended Scotch really established itself, due to its uniformity of character compared to the output of Scotland’s pot stills. In Ireland, the blending revolution lagged behind that of Scotland, with many of the largest and most powerful distilling enterprises refusing to admit that ‘Irish’ whiskey could be anything other than ‘pure pot still’ – made from a mash comprising malted and unmalted barley, distilled in a conventional copper pot still. Ultimately, this was a major factor in the dramatic decline of the Irish whiskey industry. Th ‘pure pot still’ position was particularly prevalent in Dublin, and would culminate in the publication in 1878 of Truths about Whisky, a polemical piece of writing commissioned by the four most influential Irish distilling houses, Messrs John Jameson & Sons, William Jameson & Co, John Power & Son, and George Roe & Co, all based in Dublin. The Dublin distillers – who used the spelling ‘whisky,’ partly to differentiate their apparently superior spirit from its provincial competitors - were highly influential, and controlled a significant proportion of the Irish whiskey trade, as evidenced by the fact that around 1868 the largest distillery – George Roe’s Thomas Street establishment – had an annual capacity of some nine million litres. Even today, that would place it among the most productive handful of Scotland’s malt distilleries. 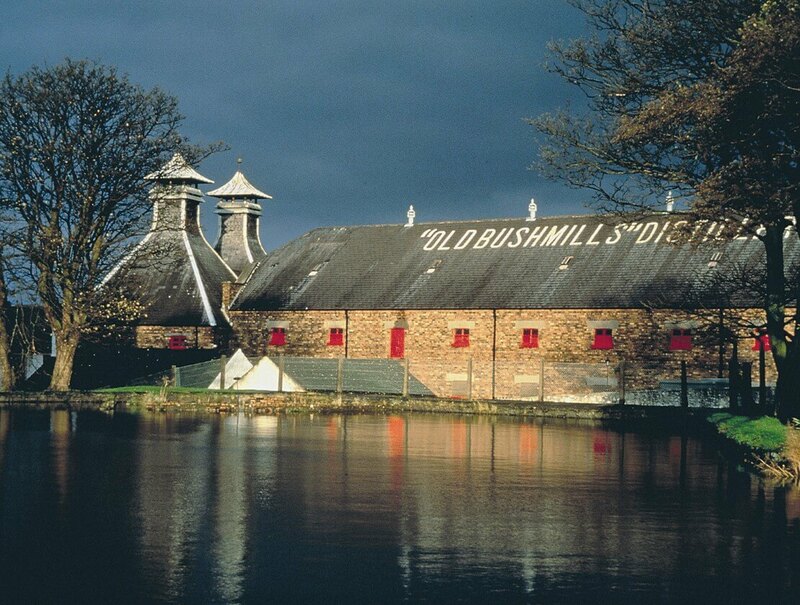 In total, 23 Irish distilleries were operational during 1868, ranging geographically from Bushmills on the north Antrim coast via Belfast and Londonderry to Cork in the south, Dublin in the east, and Limerick and Galway in the west. The blending revolution was not totally ignored, however, as a number of distilleries in Belfast, Cork and Dublin operated Coffey stills, either instead of, or as well as, pot stills. While the world of whisk(e)y was performing well in a prosperous Britain, in North America, the USA was still coming to terms in 1868 with a devastating Civil War which had raged between 1861 and 1865. The state of Pennsylvania was staunchly Unionist in its views, and its famous trade in rye whiskey continued relatively uninterrupted during the war, most notably perhaps through the straight ryes made by the Overholt family at West Overton, reputedly a favourite of Union commander General Ulysses S. Grant. Grant was subsequently elected President of the USA in 1868, serving from 1869 to 1877. As a programme of economic and social reconstruction got under way in the years after the end of the war, the late 1860s were significant for what were to become two of the USA’s leading modern-day distilleries, though as seems common, Bourbon history and Bourbon mythology are somewhat intertwined! First, we have Kentucky-born Major Benjamin Harrison Blanton, who made his fortune in the California Gold Rush, then serving as a Major in the Confederate Army. After the war, Blanton returned to his home state and established a small distillery on Rock Hill Farm near Leestown in 1865, producing Blanton’s Bourbon. Four years later, Pat Frazier built the neighbouring Old Fire Copper (OFC) distillery, which ultimately became the George T Stagg distillery, apparently incorporating Blanton’s facility, and Blanton family involvement in the business continued until the 1950s. Today, the distillery is famous under the name Buffalo Trace, and Blanton Single Barrel commemorates the family’s importance in the history of Bourbon. Meanwhile, 1868 saw plans drawn up by Irish emigrants James and John Ripy - who had arrived in Kentucky from County Tyrone – to build a modest distillery by the Kentucky River. Their first distillery could mash 100 bushes of corn a day, and in 1873 the Ripys built a new one with six times the capacity, and their whiskey became well respected for its high quality. Today the site is known as Wild Turkey Hill, and home to one of the most iconic whiskey brands. In 1868 the Dominion of Canada was brand new, having been created the previous year by Queen Victoria, courtesy of the British North American Act. The population had been growing swiftly, towns and cities became larger as more people moved there from the countryside to work, the rail network spread, and small-scale distilleries were closing down, to be replaced by larger operations. Shortages of food and drink caused by the American Civil War also gave Canadian entrepreneurs new export opportunities. In the city of Toronto, Gooderham and Worts’ distillery operated on a vast scale, and in eastern Ontario, cattleman and distiller JP Wiser headed up the Averell distillery in Prescott, the largest and most successful in the area. At the same time, English emigrant Henry Corby was gaining a reputation for the whisky made in the distillery and grist mill complex he had developed near Belleville, on the Moira River in Southern Ontario. Meanwhile, also in Southern Ontario, Joseph Seagram – still in his twenties – was managing the Waterloo distillery. In time Seagram’s was to become the largest spirits producer in the world. While Wiser and Seagram were making their names, Hiram Walker was busy building up his milling and distilling business at Windsor, having established the Windsor Distillery and Flouring Mill in 1858. A decade later, an entire town had sprung up, and in 1869 it was recognised as ‘Walkerville.’ Walker went on to develop one of the world’s great whiskies, Canadian Club. In 1868 there were also two English whisky distilleries, both making grain spirit. In Liverpool, the Vauxhall distillery had been trading since 1781, and in Bristol, the city’s whisky distillery was established around 1761. As we can see, the late 1860s were an important period in the history of whisky, and anyone distilling at that time would have needed really big crystal balls to envisage a time when an entire distillery could be controlled from an iPad.